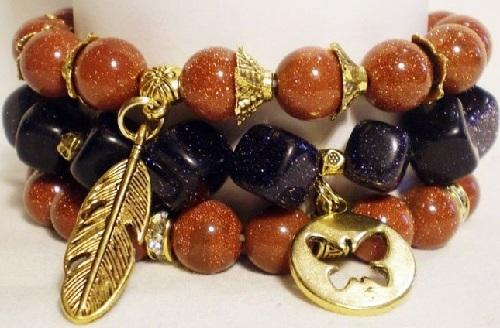 Aventurine (from Italian Avventura – Adventure) fine-grained quartz of brown, gray, yellow, red, green and blue colors with sparkling golden shimmer. 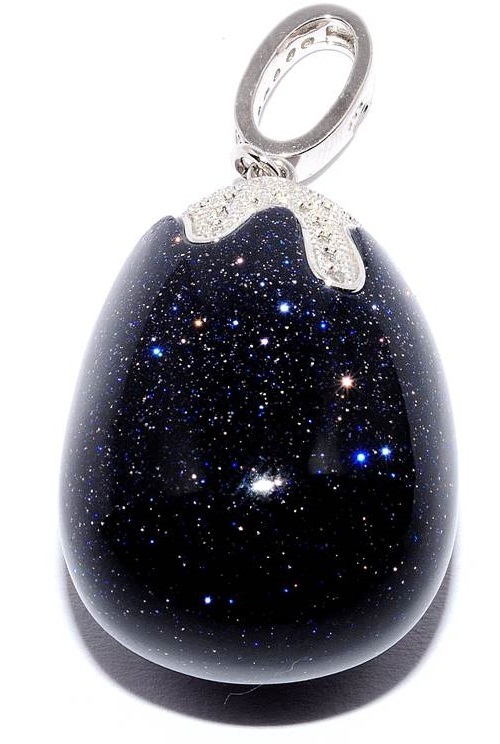 Sparkling with stars Aventurine has the effect of aventurescence due to the inclusion of small flakes of hematite, goethite or biotite. 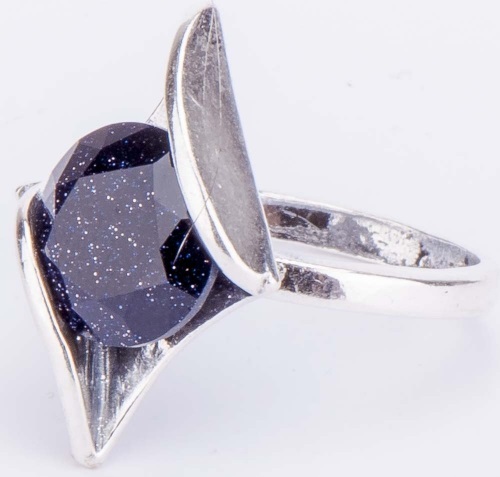 In the compounds of quartz are flakes that sparkle and play in the sun, bewitching its brilliance. 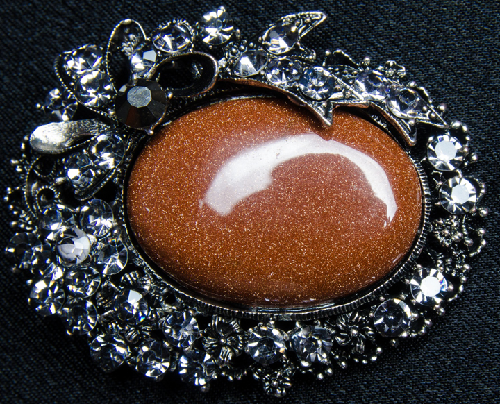 Any color of aventurine inclusions caused by impurities, so if you liked this stone, you can choose the color – yellow, brown, green, red, cherry, blue and even black. 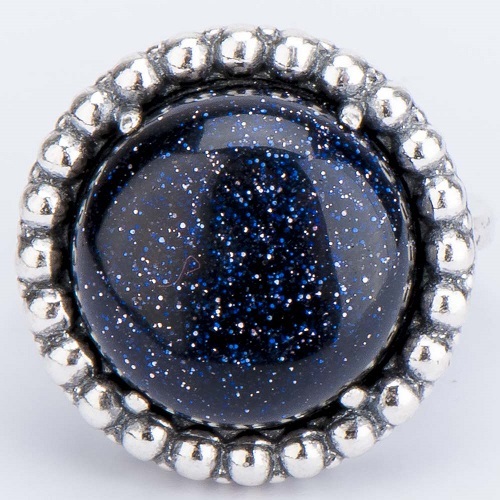 Dark Blue Aventurine is called – “The Night of Cairo” because it really looks like a dark blue southern sky, studded with stars. Aventurine fields are found in Brazil, India, USA, Spain, Austria, Australia, Chile, Russia – in the Urals and the Altai. 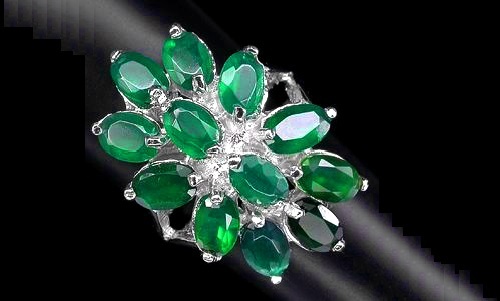 The name of stone Aventurine appeared at the beginning of the XVIII century, such name had similar sparkling glass – Aventurine. And the glass since that had become known as Goldstone. There are several technologies for the production of sparkling glass, one of which was developed in St. Petersburg Institute of Technology in the late XIX century. 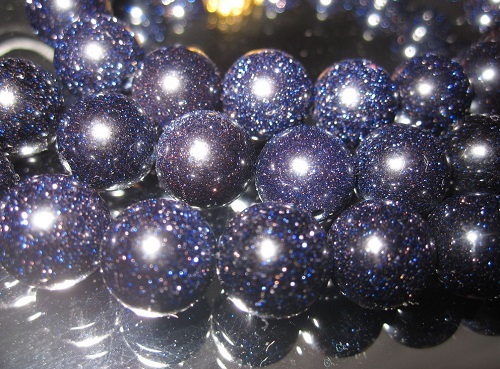 Goldstone may also be of different colors – blue with the addition of cobalt oxides, green – with addition of chromium oxides, red-brown with the addition of copper or iron oxides. But as for the stone itself, then as has been said, the color and texture of aventurine inclusions depends on the composition of various impurities, as well as grain size and uniformity of distribution. 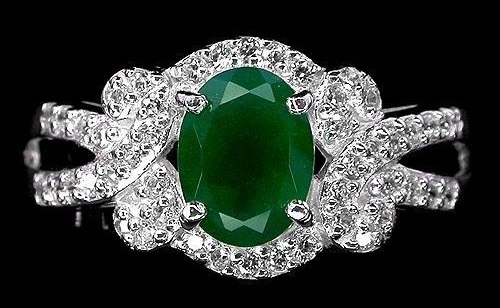 Therefore green color stones are more durable, yellow – have the strongest sparkling, golden cherry – bright colors and intense shimmer, etc. Astrologers believe Aventurine is one of the most powerful stones for its energy and recommended for those born under the signs of the Zodiac: Pisces, Cancer, Scorpio, Capricorn, Taurus, Virgo. Aventurine can be supportive to people born under the signs of Aquarius, Libra and Gemini. 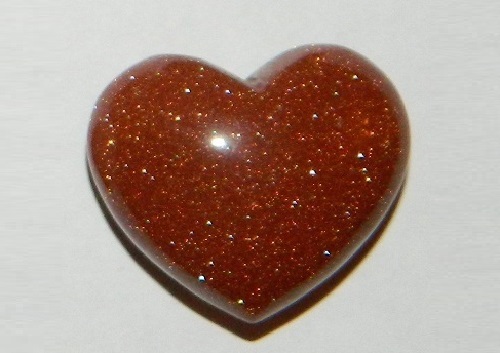 But astrologers do not recommend aventurine for zodiac signs – Aries, Leo and Sagittarius. Aventurine has long been used for treatment. Oriental doctors offer it for therapeutic massage, assuring that it has a positive effect on the heart, eyes, calms the nervous system and has positive effects on hair making it thick and strong. 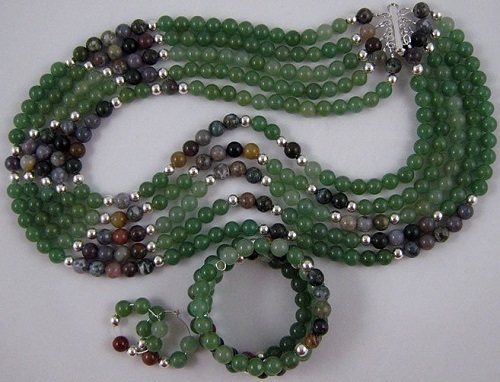 What other properties Aventurine was endowed by ancient physicians? 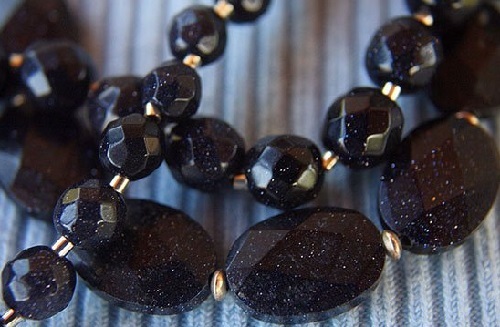 According to them, the stone sharpens emotions, sensuality, so it can be a source of inspiration for creative people. But what is valuable for one does not fit another. 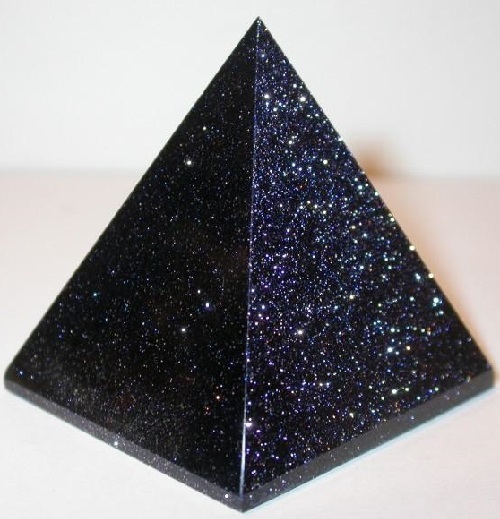 For example, those who run some responsible business, a stone can distract from work. 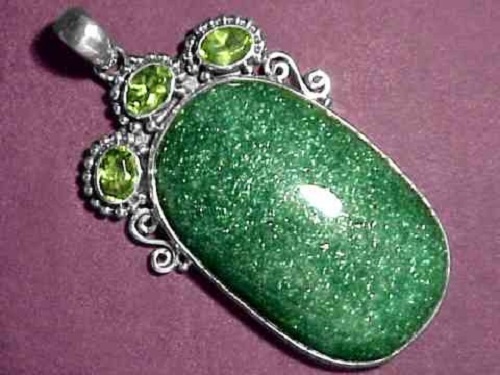 Aventurine is easy to polish, in jewelry it is cut as cabochons. 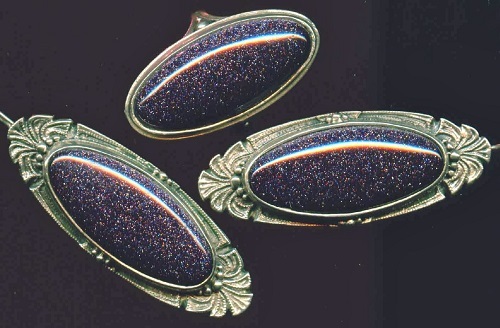 In Russia from Adventurine produced not only jewelry – rings, brooches, earrings, necklaces, cufflinks, but also vases, candle holders, handles for knives, forks, and manicure tools. The Hermitage keeps vases and tables from the Ural aventurine. 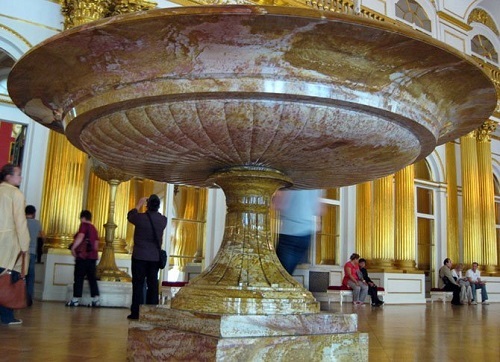 It also exhibits a vase of aventurine height of 146 cm width 246 cm, and Pavlovsk Palace keeps a copy of the same material, but the height of 125 cm. The Geological Museum in London has a vase made of aventurine, donated by Nicholas II of Russia. 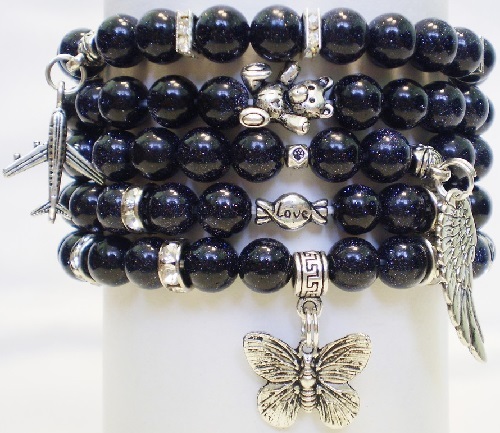 From this beautiful stone jewelers make necklaces, brooches, bracelets, pendants and other jewelry, as well as vases, boxes, and table tops. Aventurine loves not only the sun but also the light of the moon, so, at least, say astrologers, particularly blue Aventurine, reminiscent of the night star sky. Even the ancient physicians claimed that Aventurine responds for changing phases of the moon, and if you leave it at night by the light of the moon (on the sill), the stone “recharges” and intensify its healing properties. 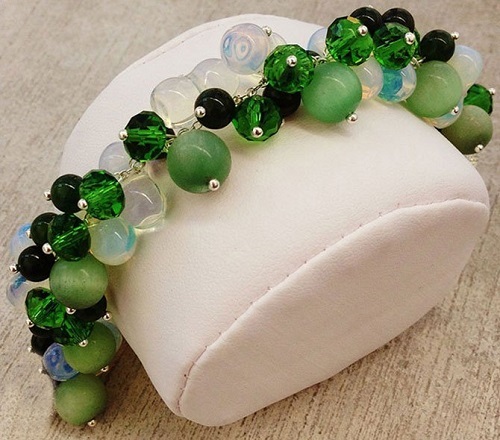 If you trust the ancient astrologers and physicians, hurry to buy ornaments made of aventurine. 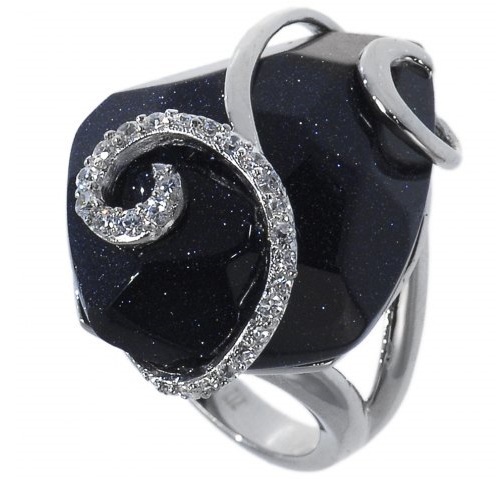 And if you are confident in your own abilities, still buy – it is extraordinarily beautiful and not very expensive. 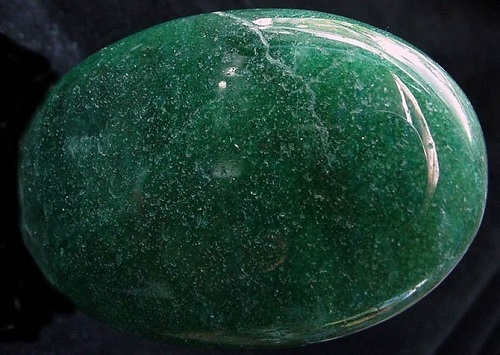 Aventurine has been a popular stone in China. 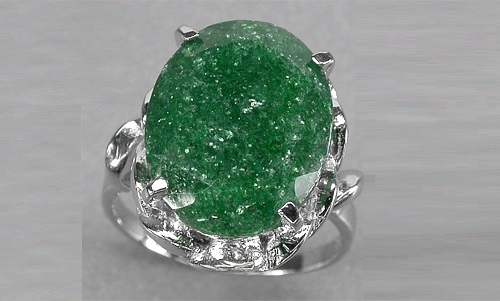 Here green aventurine was considered sacred, “imperial stone.” From it were cut the stamps for the emperor himself.